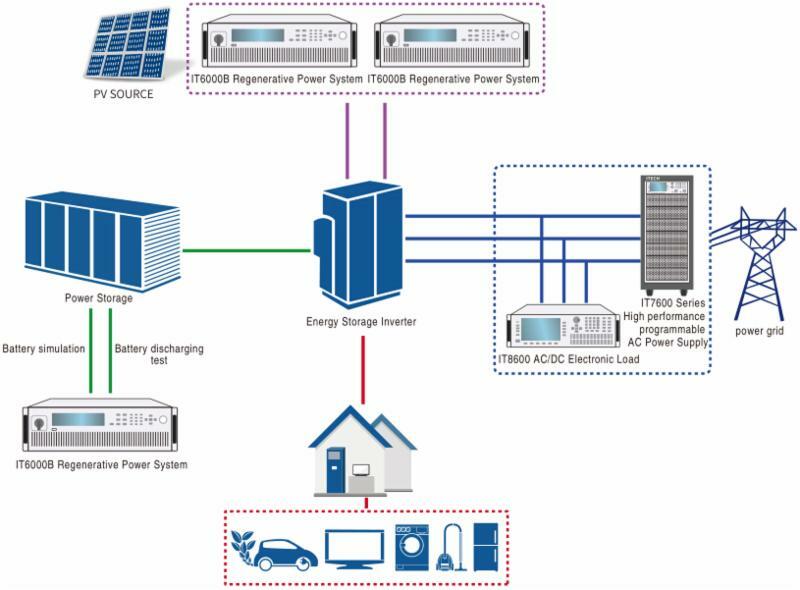 Programmable DC Power Supplies and Regenerative Power System. With the increasing focus on energy conservation and carbon reduction, many green and recycling and energy concepts have been proposed to make society more environmentally friendly, more energy efficient and more economical. New technology, like the Energy Storage System (ESS), Fuel Cell, PV inverter, Hybrid Electrical Vehicle (HEV), Electrical Vehicle (EV) and Charger Station, will require rigorous testing. IT6000B can precisely simulate I-V curve of solar panel. IT6000B can simulate batteries by its battery simulation function. IT7600+IT8600 can simulate the input of power grid. Three testing ways can be done by simulation of various power units: Battery input, AC input, PV input to converter. The independent load mode of IT6000B can proceed discharging test of batteries. Did you know we supply test equipment from over 10 different manufacturers?